The internationally acclaimed next generation tyre by Apollo, Aspire 4G furnishes excellent handling, amazing grip levels, and healthier stability irrespective of weather conditions. On the tread it gets asymmetric design with narrow intermediate grooves for better surface contact. The wide outer shoulder and three wide circumferential grooves prevent hydroplaning and increase the traction under wet setup. The centre rib is optimised for stiffness that results in better steering precision and directional control at high speeds. The tyre brilliantly responds to sudden steering movements ensuring safety, while the optimised contour and broad contact patch provide shorter braking distances on wet and dry surfaces. The optimal mix of unique raw materials presents the ultra high performance tyre, Apollo Aspire 4G with excellent acoustic comfort to the occupants. 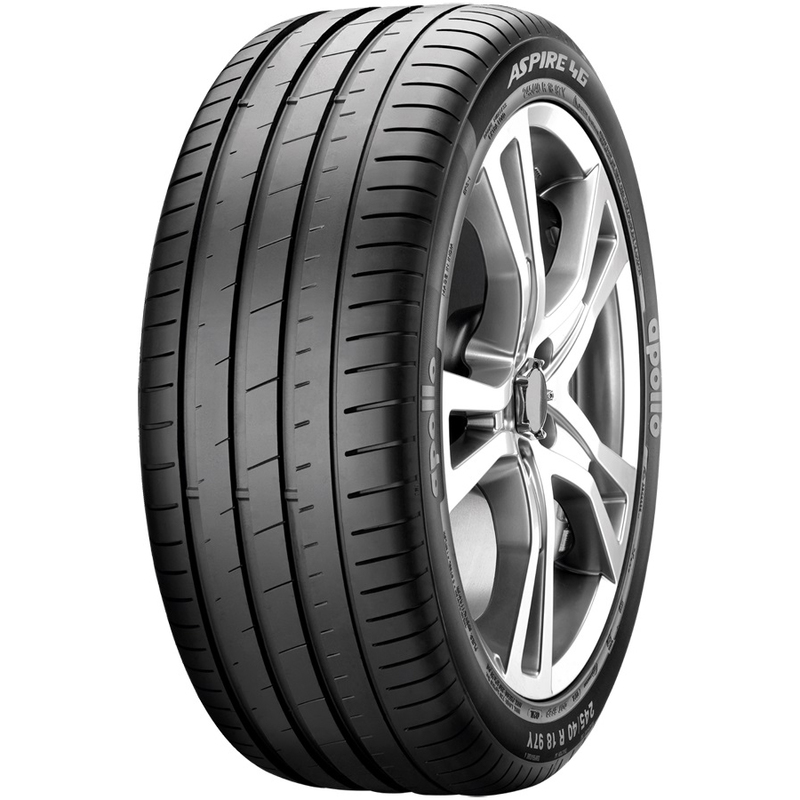 The high performance Aspire 4G tyre by Apollo is intended towards high performance premium and luxury saloons and coupes. The high octane tyre is aimed to provide racetrack performance on the road to its users. Tested to be safe beyond a speed of 250 kmph, the premium tyre bestows brilliant steering response and vehicle stability. The silica based compound at the tread ensures exceptional dry and wet handling and cornering ability at very high speeds. The Aspire 4G gets minimalistic, asymmetric tread pattern that results in shorter braking distance and silent ride throughout its life. Wide outer shoulder with narrow sipes promote precise steering, maximum contact patch and shorter braking distance during sudden braking. The low rolling resistance encourage superior fuel efficiency and swift acceleration. Apollo Aspire 4G has been extensively tested internationally with excellent outcomes.